"For me, the summer will be pure gray – mother-of-pearl gray, very pale gray. To me, this is the big statement for summer." Designer Gianni Versace said this for his summer collection… in 1997. But it’s as relevant 20 years later. Light gray may resemble gloomy clouds or boring tones, but it’s actually a timeless color similar to navy. It’s just as versatile – if not more so – and you’re more likely to stand out in the deep blue suiting sea. Actually, charcoal gray is typically the go-to option when it comes to the color, but this softer version can be your top choice for all (gray) areas of your life. The light gray suit can go toe-to-toe with navy in terms of what colors you can pair with it, which is pretty much all of them. 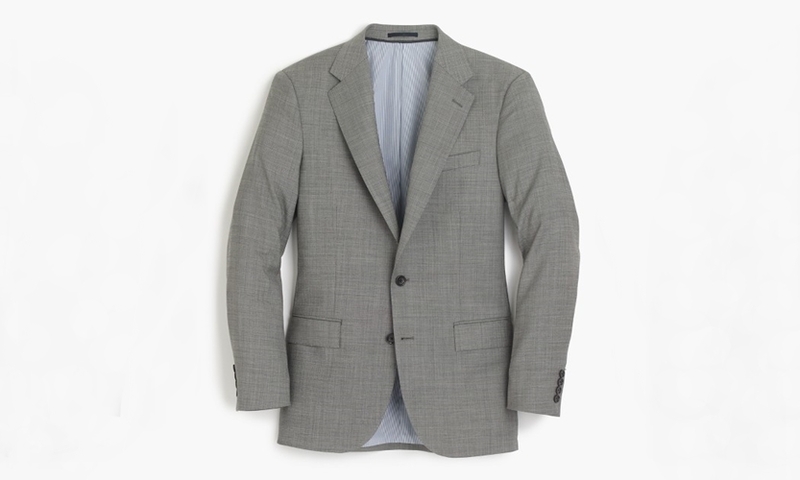 In fact, a top choice for a suit is J. Crew’s Ludlow Worsted wool in mineral gray. 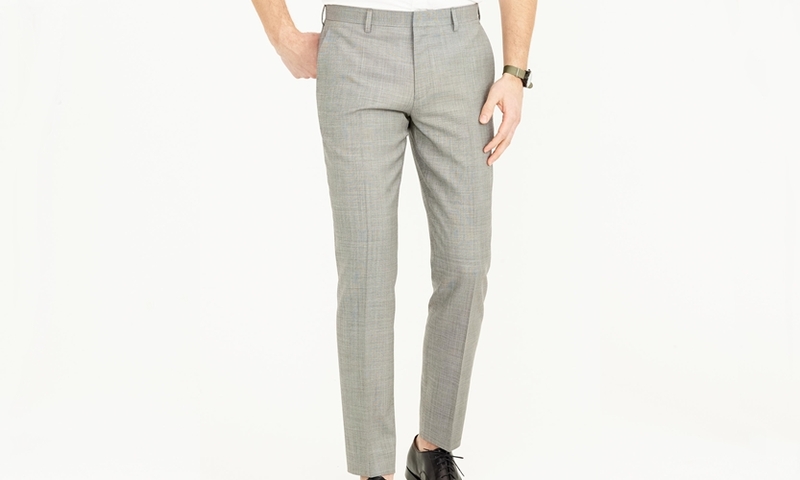 It stands up to wrinkles and provides a tremendous value with its Italian wool and slim fit. Dress it up with pretty much any color dress shirt – lighter blues go very well with this – or rock the casual look by pairing with a plain white tee and white pocket square. Or you can go with a more modern and minimalistic look and rock a dress shirt in a similar gray hue, like this one from Uniqlo. Continue the monochromatic theme with a gray tie from the Tie Bar. The herringbone pattern adds some texture to the outfit so you don’t just look like a big rock. You can really go all in with this look by adding a luxurious pale gray pocket square from Lanvin and a matching tie from the Tie Bar. In keeping with this look, consider this soft gray belt from Bonobos paired with a similar style in shoes such as this these suede driving shoes from ASOS. Accessorize your wrist game with a stainless steel (er, gray) watch from Burberry. Complete the fifty shades of light gray with this opulent men’s bag from Tom Ford. After all, you can get a splurge item or two. Why not maximize it with something you can use every day? The good thing about this hue is that you can break each of these items up individually and wear them with anything else in your closet. It’s the gift that keeps on giving. As in, giving you the chance to look awesome in so many ways. You can also smell awesome with gray. Try lightly dousing yourself with this spicy and invigorating Lacoste cologne. Gray never seemed so alive.